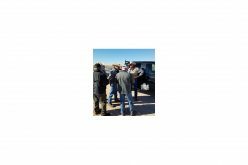 The first arrest came on March 29th when Tule River Indian Reservation resident Yaxkin Chumacero was taken into custody on several felony warrants. 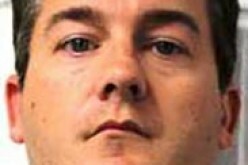 Chumacero is suspected of several counts of child molestation. 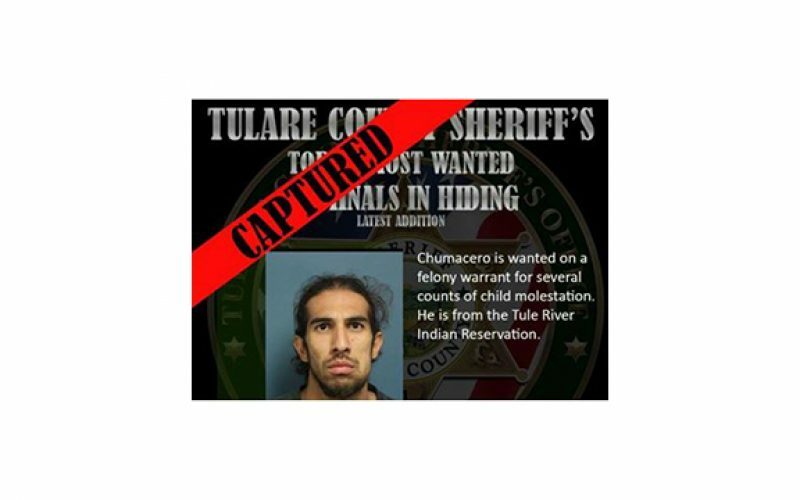 Tulare County Sheriff’s Office was assisted in this arrest by San Bernardino County Sheriff’s Department as Chumacero was arrested in their county on Mainstreet and Interstate 5. 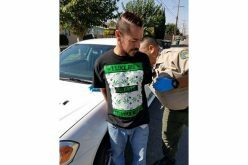 The 32-year old will soon be transported to Tulare County,with his bail set at $3 Million. 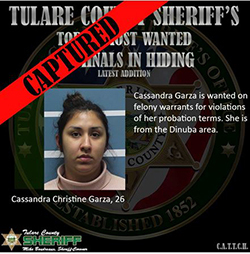 A second name came off the list on April 2, 2019 when 26-year old Cassandra Christine Garza was arrested by Detectives of the Tulare County Sheriff’s Apprehension Team Tracking Criminals in Hiding (CATTCH). 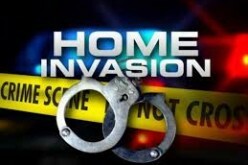 She was booked into Visalia’s Adult Pre-Trail Facility. 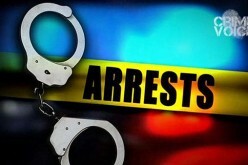 In Tulare County, she is charged with identity theft, evading an officer, and a hit and run. Her bail is set at $70,000. Charges she accrued during her arrest for possessing ammunition, meth, and drug paraphernalia will be reviewed by the Fresno District Attorney.